MNA compiled compensation data on 78 different positions commonly found in nonprofit organizations. The purpose of the study is to provide a comprehensive report on salaries and benefits paid to employees of 501(c)(3) nonprofit organizations throughout the state. The information in the salary survey is presented with the expectation that it will assist directors and board members in developing compensation plans that will result in successful recruitment and retention of employees. 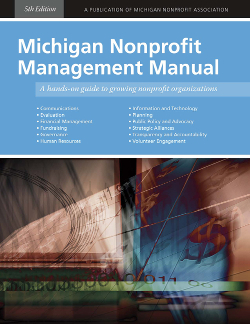 Purchase the Michigan Nonprofit Management Manual, 5th Edition here. MNA compiled compensation data on 74 different positions commonly found in nonprofit organizations. The purpose of the study is to provide a comprehensive report on salaries and benefits paid to employees of 501(c)(3) nonprofit organizations throughout the state. The information in the salary survey is presented with the expectation that it will assist directors and board members in developing compensation plans that will result in successful recruitment and retention of employees. 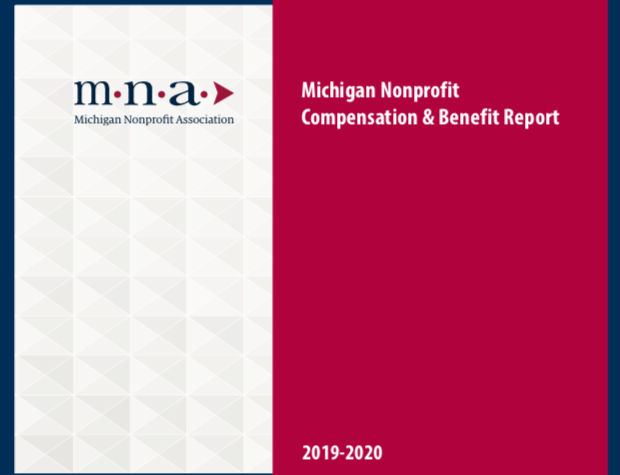 Purchase the 2017-2018 Michigan Nonprofit Compensation & Benefit Report here. Michigan Nonprofit Association, in partnership with the Council of Michigan Foundations, is pleased to present An Introduction to Working in Michigan's Nonprofit Sector. Employing nearly 11 percent of Michigan's workforce, the nonprofit sector has hundreds of thousands of employment opportunities. No matter who you are, where you come from or where you are in your career, this guide provides practical guidance and knowledge as a first step to establishing your ideal career in the nonprofit sector. Download An Introduction to Working in Michigan's Nonprofit Sector here. 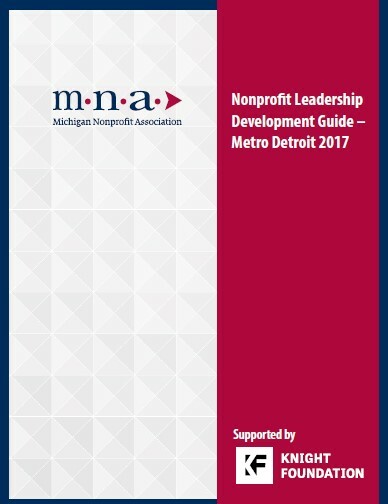 Here you’ll find a listing of metro Detroit leadership development programs who, at least in part, focus on developing nonprofit professionals. This guide is intended to provide nonprofit and community leaders with information to better understand and engage with professional development opportunities available to them. Scroll over any category for a program to see more information popup, or click on the page number to view a detailed program profile. The workforce development sector of Detroit has the responsibility of preparing Detroit’s residents for the current and emerging job markets. Supportive services, however, are still being perceived as a miscellaneous expense that does not have a significant impact on the outcomes of workforce development programs. If these services continue to be regarded in this manner, workforce development organizations will fail to meet their objectives. The workforce development sector, using empirical evidence from various studies, should advocate for its clients and programs. Funders need to be persuaded to include supportive services in their funding streams. The need for supportive services is immense. In order to be efficient and effective, organizations need to collaborate and employ collective impact strategies. Awarding sufficient funding for supportive services will yield greater outcomes and improve program design. pdf View Supportive Services and the Workforce Development Sector of Detroit here . The VISTA Needs Assessment Report examines current Detroit workforce development efforts and organizational capacity in order to support organizations that aim to reduce the unemployment rate. The VISTA team created an asset map to develop, identify, and categorize information about these workforce development programs. From that map a Needs Assessment was done to identify opportunities to support service delivery within a sample of these organizations. After analyzing the findings of the Needs Assessment the VISTA team developed strategies to support service delivery and recommended ways to address the needs of the Detroit workforce development sector. pdf View Needs Assessment Report On Detroit Workforce Development Sector here . This review synthesizes research regarding the resources for persons returning to the workforce from prison. The focus of the review is workforce development opportunities for returning citizens in the city of Detroit, both during incarceration and after release. It also includes information regarding the U.S. Equal Employment Opportunity Commission and the Ban the Box campaign. The campaign advocates for changing unfair hiring practices and removing questions about prior convictions from job applications. It resulted in the City Council enacting a Ban the Box ordinance in Detroit in 2010. In addition this research team explored how the stigma that accompanies returning citizen status can create additional barriers to finding and maintaining employment. Finally the review supports how important ancillary services are for returning citizens in order for them to sustain employment, one of the main goals of workforce development efforts. pdf View Returning Citizens and Workforce Development Review With Special Focus on Detroit here . MNA LINKS is a membership publication, is published four times annually. Each issue contains articles aligned with our 12 Principles & Practices for Nonprofit Excellence including nonprofit management, funding opportunities, nonprofit legislative information and more. Members can access new issue of MNA LINKS Magazine here. Michigan Nonprofit Association recognizes that good organizational practices are primarily implemented through education and self-regulation. Thus, Principles & Practices for Nonprofit Excellence in Michigan is intended to serve as an educational resource to improve the efficiency, transparency and accountability of Michigan charitable organizations. The Advocacy Handbook is a guide to help your nonprofit become effective advocates and covers basic information on advocacy, as well as regulations for public policy involvement. 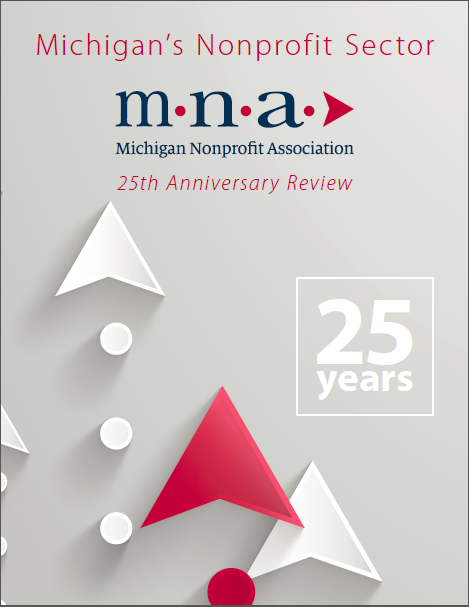 pdf Download Nonprofit Advocacy: A Michigan Primer here . This is a joint publication, created in partnership with the Michigan Attorney General's office, the Council of Michigan Foundations, and the Michigan Association of United Ways. Download Helping Michigan Gitizens Give Wisely here.